In my last article I talked about the influence of my parents’ education on my education choices. Though aware for some time how much they influenced me, the totality of that influence didn’t sink in until I wrote “Going Your Own Way“. I discovered, despite all of the effort I had put in to deprogramming myself from making choices simply to stay on my parents good side, I have a long way to go in becoming my own person. 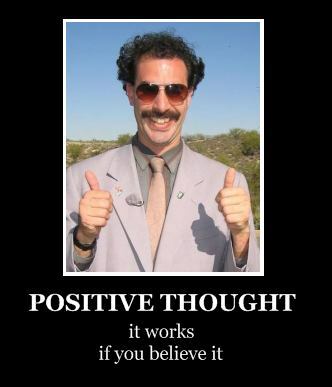 Being stuck in your parents belief systems can happen for any number of reasons. First, you can be born into a very strict family and have parents who believe there is only one “right” way of seeing the world and only one way life must be approached. Second, you could have parents, like mine, who push you to do your best in school while neglecting the encouragement of yourself as an individual, especially when you disagree with them. Third, you might have grown up in a family where there is little or no access to outside opinions or viewpoints, or had parents that only encourage you to follow in their footsteps. This is by no means an exhaustive list, but it should get you thinking. What beliefs do you act out, even when they don’t benefit you? You have now planted the idea in your mind that your subconscious actions and attitudes can and should change for the better. Although there are certain things you can’t avoid, like studying for that big test, you at least know there are other aspects of yourself you can control. Pull out your list during the weekend or any day in which you have set aside personal time (if you haven’t, pick a date and time now!). This is important, because although you might want to rush into your leisure activities, dedicating even a little of your free time towards self-improvement will make you more feel much more positive overall. In this way, you show yourself how important your mental and emotional well-being is. Take a look at the actions you have starred. What makes you dislike performing those actions? Choose one and write at least a paragraph on where the habit comes from and why you’d like it to change. Be honest but gentle with yourself; now is not the time to be critical. If you notice your impulse to perform the action comes from a source outside yourself you don’t agree with, write another paragraph about how to turn the old idea into a more positive form of motivation. For example, if you’ve discovered you purchase items you don’t need because you are unhappy, write about how you think you began this practice. Again, be honest. Any action performed to shift attention away from an unhappy situation instead of dealing with it should be resolved immediately. End your paragraph(s) with an affirmative statement: “Whenever I feel upset about a situation I cannot fully control, I will work on resolving my feelings on the issue.” Remember, this is an affirmation, no “can’ts, won’ts, or don’ts” should be allowed in your statement. Practice being more positive with yourself everyday and record your progress; your habits and thinking will change much faster with positive encouragement. 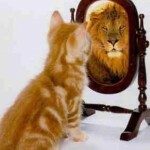 There are many aspects of college life which would benefit from using positive affirmations. Start each morning with at least one affirmation about how productive and promising of a student you are. 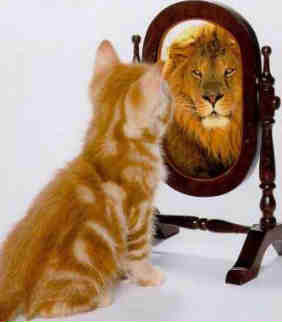 For added emphasis, state your affirmation(s) while looking into a mirror. This will help solidify the ties between the statement your making and yourself. Vary your routine and seek out new positive experiences. 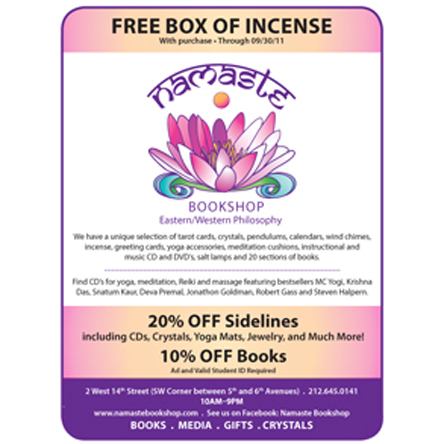 Get inspired at stores like Namaste which offer an eclectic array of books on self-improvement. Interested in seeing more of my work? Please visit my personal blog here. This entry was posted on Wednesday, June 15th, 2011 at 5:36 pm and is filed under onHealth, onValues. You can follow any responses to this entry through the RSS 2.0 feed. You can leave a response, or trackback from your own site.